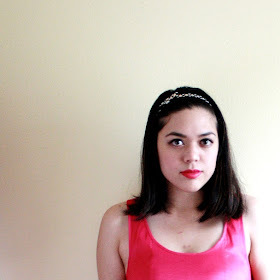 Part II of my latest Swap & Style with my blogger bff Katrina! I know Katrina isn't typically a fan of rompers, but this one looks more like a blouse-and-shorts combo anyway, so I thought she might like it. 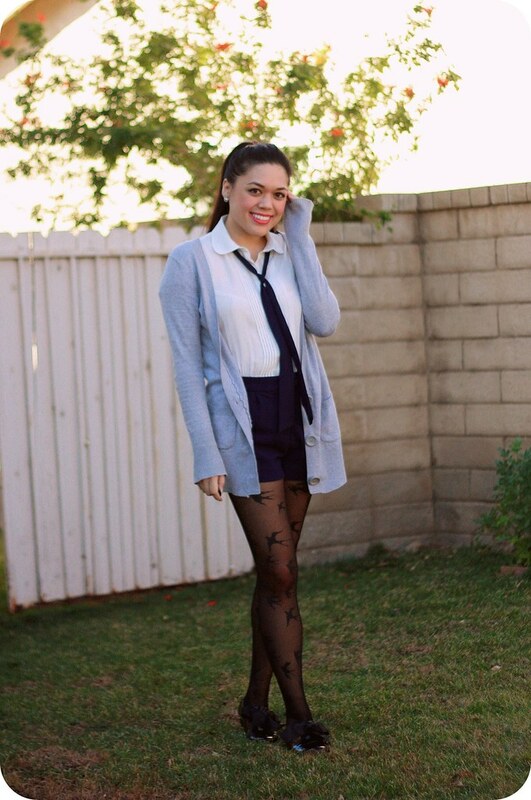 Plus, it has this irresistible preppy school uniform thing going on, and I wanted to see her take on it. I could always use some inspiration for this romper, especially since I required layers last time during winter (also: RIP long ponytail-length hair). 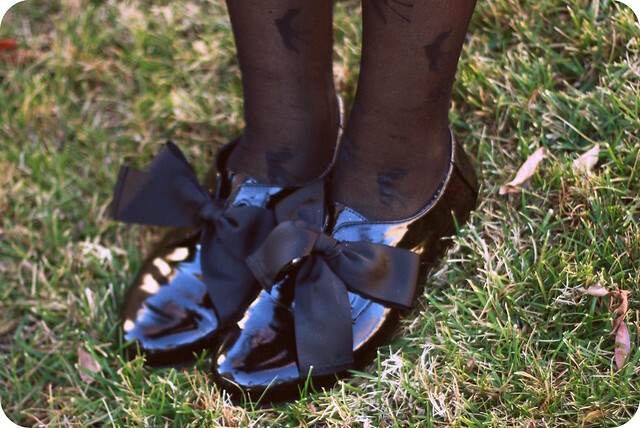 I left the bow at the neck tied with a loose knot to resemble a typical necktie (maybe I should learn how to tie one properly for next time), and paired it with a gray boyfriend cardigan, bird printed tights, and patent oxfords. I love that Katrina tied the sash into a bow, and paired the romper with a brown crossbody bag and heels. The color palette is classic, while the shoes and bag are modern and grown-up. The great thing about this romper is that it has quite a few details and can be left as is during warm weather. 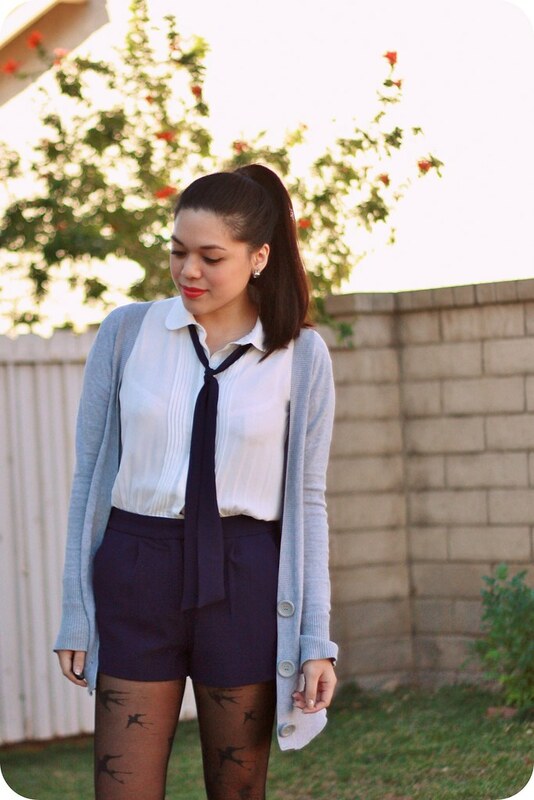 Don't forget to check out Katrina's blog for her outfit details and additional photos. 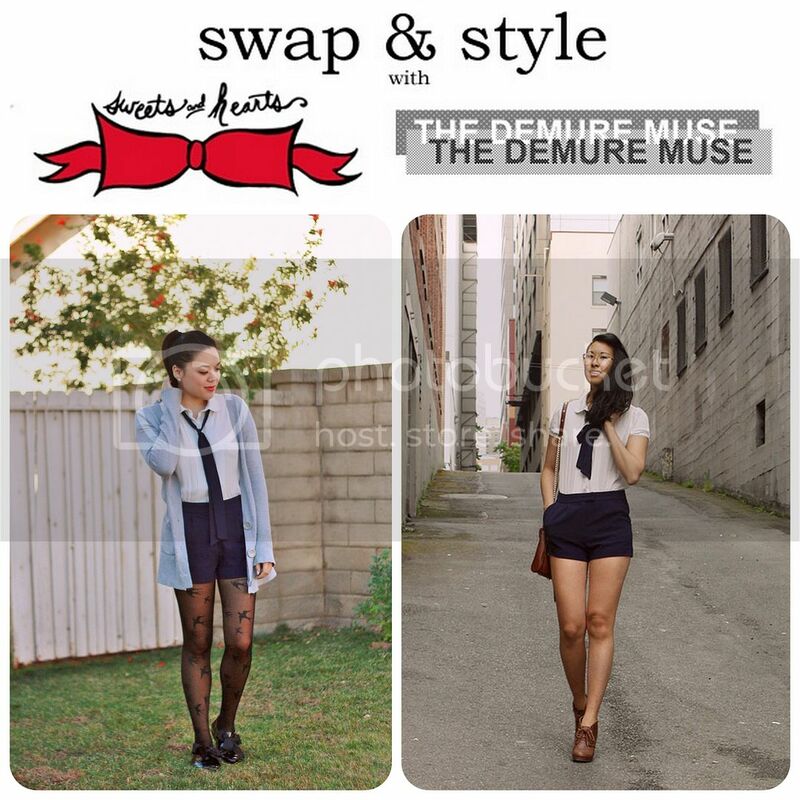 You can see our past Swap & Style posts here. How would you style this romper?